Ever wondered what one of the oldest number plates looks like, and its history? Then read on to find out more about a classic number plate bought by National Numbers! EC 2 has seen all kinds of vehicles and owners - it has a rich and long history that number plate enthusiasts and professionals alike will find interesting. National Numbers has owned the number plate EC 2 since 2007, when it was bought by us at Bonham's auction. Since then it's been on our Chairman Eric Craggs' Aston Martin - and it's a very nice plate indeed. 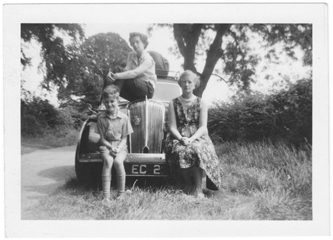 The photo is of an 8 year old Mr. Abba, his Mother, and Sister, posing for the photo with what is believed to be a Standard 14 Saloon car, showing the EC 2 registration on a classic metal black and silver number plate. According to Mr. Abba, EC 2 had no relevance to his Father's name, and was bought with the car second-hand. EC 2 is an early Westmorland registration. It was allocated to a Marshall in 1968, perhaps coming from Mr. Abba's vehicle. To learn more about the fascinating history of the number plate, please read our previous article EC 2 - Vintage Marshall. If you're interested in buying EC 2, please contact Eric Craggs on 01642 363738. 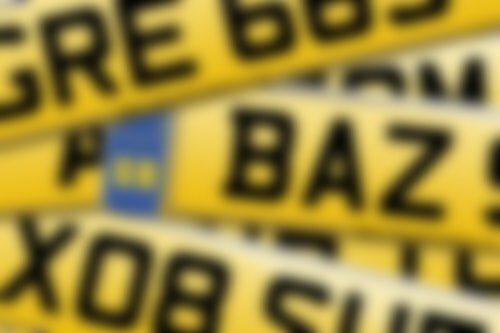 Or try a number plate search for dateless number plates on our website to find a similar registration.